THE Williams BMW Liverpool International Tennis Tournament has grown to become the longest running and largest tennis exhibition in Europe since 2002. This year we are yet again an official media partner of this amazing event. This year is the 17th edition and as normal it is all set to attract up and coming and established WTA and ATP players combined with the ever popular Legends of Tennis. Many of then use this event as a warm up before Wimbledon... 2018 will see the Wimbledon Champion, Marion Bartoli, return to Liverpool... Marion Bartoli sensationally won Wimbledon in 2013, then just as sensationally retired from the game altogether a few weeks later. Bartoli was busy in her post tennis career in design and fashion when a strange illness hit her in 2016. The illness lead on to her losing a staggering 5 stones, but she has now regained full fitness and wants to get back on the Womens' Tennis Circuit. Bartoli attributes her comeback to her illness which left her fearing for her life. The crowds of the North West will be able to watch Marion Bartoli in action when she appears at the Williams BMW Liverpool International Tennis Tournament at Liverpool Cricket Club from 21 June to the 24 June 2018. We can officially announce now that we have 2 pairs of Final Day tickets to give away, so the lucky winners will get to see the play on the grass courts of 1 of the oldest sporting grounds in England, The Liverpool Cricket Club, for FREE... But even if you do not win and you are tennis fans, do not miss what will be an amazing show... For full event information, along with ticket booking information and all the latest news about what's on offer, visit:- LiverpoolTennis.Co.UK If you are interested in hospitality at the largest tennis exhibition in Europe, at Britain's nicest Centre Court email:- Admin@Northern-Vision.Co.UK for more information. To be in with a chance of winning the tickets, all you have to is answer the following question:- "Who is the title sponsor of the 2018 Liverpool International Tennis Tournament?" Please email us your answer by 12 noon, on 25 May 2018. You must include your full name, address and phone number. Send the email to:- News24@SouthportReporter.Com. 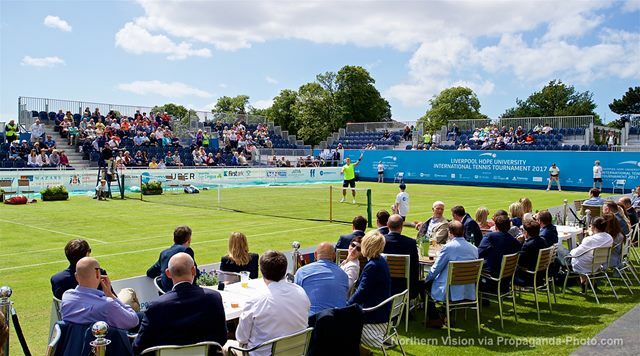 The contact information and your email address will only be used to pass on to the Liverpool International Tennis Tournament organisers, Northern Vision, so they can allocate the tickets to the winner. There is no cash alternative for this prize and entry is totally free. All non-winners email addresses and personal information will be deleted 30 days after the event, in case of any discrepancies happening after the issue of the tickets. Location, as in town, eg:- Liverpool or Southport, will be kept only. This is to help with marketing plans for the 2019 Liverpool International Tennis Tournament. The event's Ticket Terms and Conditions will apply to all tickets issued, including the winners of this give-a-way. THE Community Integrated Advance Care Planning Service, invited care homes from across Halton, St Helens and Knowsley, to take part in an art project to depict what "Dying Matters" meant to them in their care home. The service, which is delivered by North West Boroughs Healthcare NHS Foundation Trust, delivers education to health and social care professionals in advance care planning and end of life care. 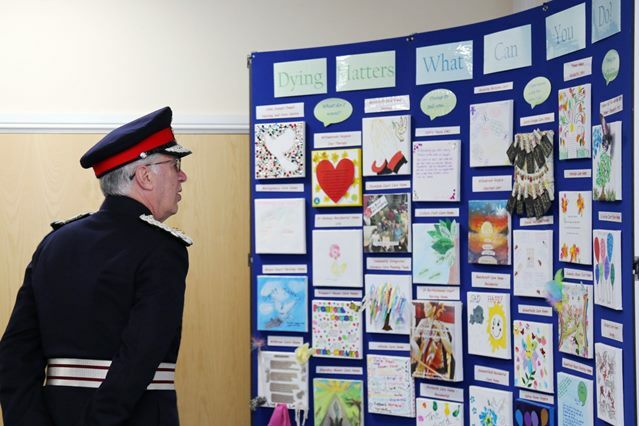 A total of 36 decorated canvases from nursing homes, Hospices and a mental health ward formed the art exhibition. 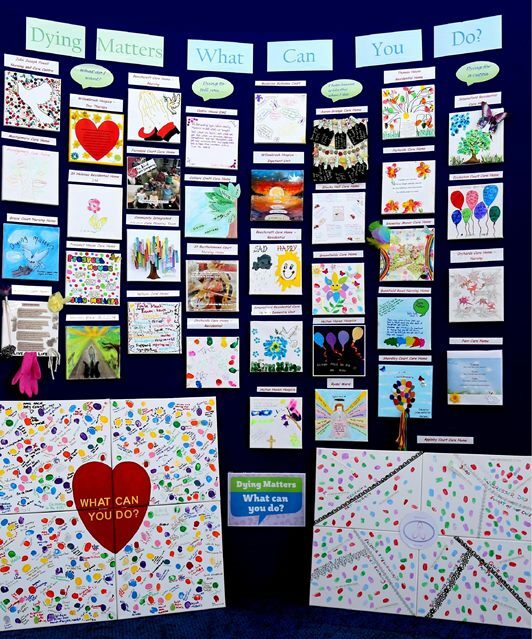 The decorated canvases were recently displayed at a tea party hosted by the Community Integrated Advance Care Planning Service, at The Living Well, St Helens, in support of Dying Matters Awareness Week. Research has shown that just 35% of adults said they have made a will and only 30% had let someone know their funeral wishes. It's hoped that the art exhibition will reinforce the importance of talking about dying, death and bereavement. Participants commented on what inspired their creations:- "I used words that meant something to me, such as friendship, support and forgiveness." Another participant added:- "Following a discussion with families from the home, our canvas was decorated with a dove, which symbolises love and a feather that represents a loved 1 passing away." Since the tea party, the exhibition has been viewed by the Lord Lieutenant of Merseyside, Mark Blundell, who said:- "This is a marvellous exhibition of art and it shows great community involvement." Deborah Tubey, Interim Assistant Clinical Director at North West Boroughs Healthcare NHS Foundation Trust, said:- "Well done and thankyou to everyone who took part in this event. It's highlighted the incredible passion and enthusiasm within community care that we have across Halton, St Helens and Knowsley." For any other enquiries, and to view some animations on how to approach this subject with loved ones, visit:- NWBH.NHS.UK/Advance-Planning. VISITOR numbers up 2% year on year as people head to the City Centre for the annual Chilli Festival, family film screenings and the popular Easter Eggsplorer trail. Last month's April showers didn't put a dampener on the number of people heading into Chester City Centre according to a new report, which shows visitor numbers were up by almost 2% against the previous year. Data from independent retail analyst Springboard on behalf of CH1ChesterBID showed that high street footfall across the UK was down overall by 4%, meaning Chester was 1 of just a few places to buck the national trend. More than 1.6 million visitors headed into Chester City Centre throughout the month despite there being a total of 16 rainy days and just 6 sunny ones. That's in stark contrast to 2017, when Chester basked in sunshine with 14 sunny days and just 1 rainy day. 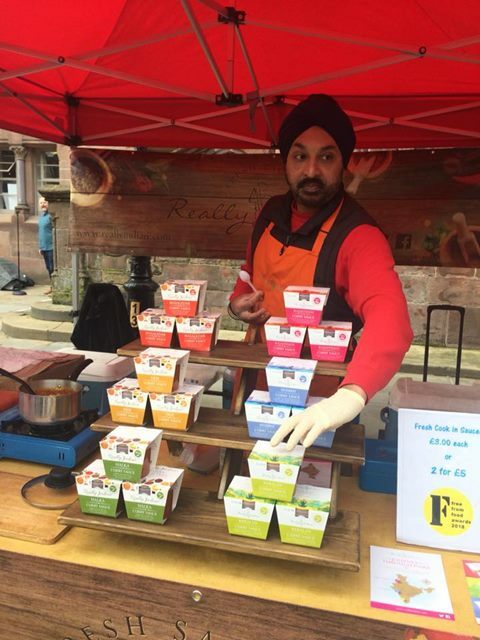 Events such as the Chester Chilli Festival made a welcome return and helped draw the crowds with 20 vendors, live music and Clash of the Titans Chilli Eating Competition seeing an additional 2,100 people on Northgate Street compared to the same Saturday in 2017. 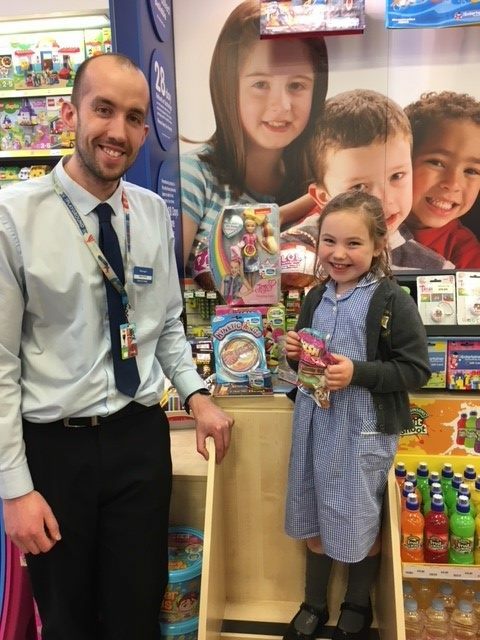 Other activities including Easter family film screenings attracted more than 1,000 people throughout the month, and hundreds of families took part in the Easter Eggsplorer Citywide Egg Hunt trail, which ran from 24 March 2018 until Easter Sunday, on 15 April 2018. 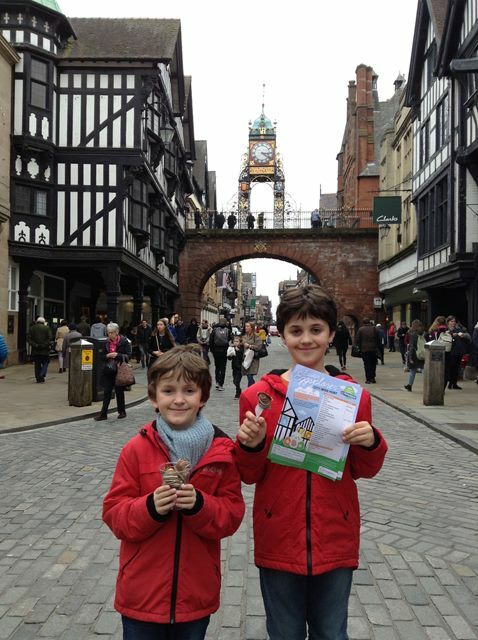 Emily Ghazarian, Events Manager at CH1ChesterBID www.CH1ChesterBID.co.uk , said:- "Despite some really wet weather in April, we're really pleased to see an increase in City Centre visitors throughout the month compared to the figures from 2017. On behalf of Chester's City Centre businesses, we work hard all year round to organise events and activities that give people more reasons to visit Chester. As the Springboard report shows, the combination of the Chilli Festival, family film screenings and the Easter Eggsplorer trail have proved really popular this year, which is great to see. We're under no illusions that it's a tough time for the high street with some well established brands closing down and some of our well known local businesses doing the same in recent months. Online shopping continues to rise in popularity and that's something we're having to contend with along with a challenging economic climate. But along with our City Centre retailers, we're doing everything we can to rise to the challenge and entice shoppers into Chester to experience something that you just can't get from a laptop or a computer. It's so important that we continue supporting our local City Centre businesses so we're working hard to hopefully build on the success we had throughout April." For more information about CH1ChesterBID or the rage of events and activities in Chester City Centre, please visit:- ExperienceChester.Co.UK.